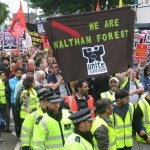 Thousands of people joined an anti-EDL unity demonstration in Walthamstow on Saturday 1 September, organised by We Are Waltham Forest and Unite Against Fascism. 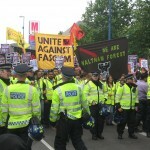 It was a day of celebration that has delivered a humiliating defeat to the racist thugs of the English Defence League (EDL). 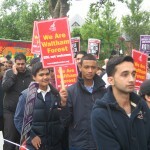 The EDL wanted to stage a provocative anti-Muslim march through the multicultural borough in north east London as part of its campaign to spread race hatred. It was a failure. 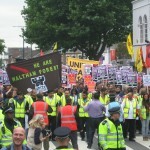 The EDL called it a “make or break” day for its dwindling band of supporters. 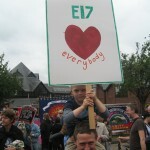 It promised to mobilise over 1,000 people for its Walthamstow demonstration. Only 200 turned up. 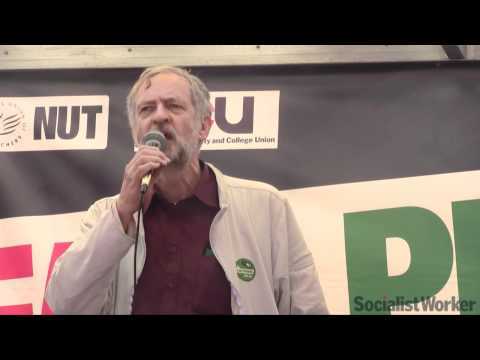 They were blocked, diverted and finally told that their rally had to be abandoned. 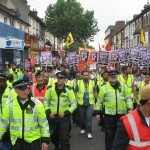 In contrast between 3,500 to 4,000 people turned out to oppose them. 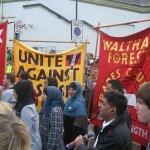 UAF along with the “We Are Walthamstow” campaign brought together trade unions, community and faith groups, and many others in a magnificent display of unity. 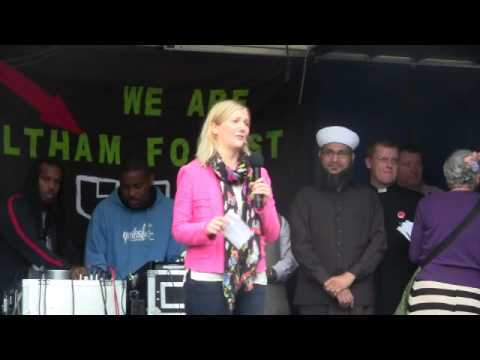 Speakers at the rally included Stella Creasy MP, Irfan Akhtar (WF Council of Mosques), Father Steven Saxby (Dean of WF), Jeanette Arnold MEP and Jean Lambert (LAM). 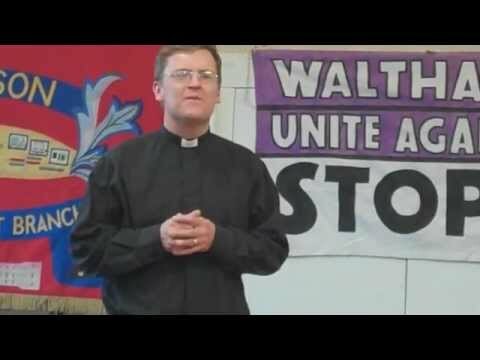 This miserable turn-out for the EDL — that at one time claimed to have thousands of active members — has triggered another round of resignations and in-fighting. 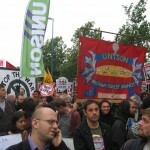 RMT members, particularly at Euston and Blackhorse Road, played a significant part in making it clear that the EDL were not welcome. 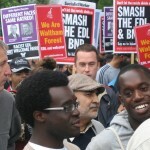 The EDL have, however, threatened to return on 27 October. 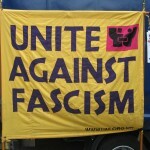 Unite against Fascism is therefore calling for a national turnout if the threatened event goes ahead.